Teaching a five day on Hermeneutics and Hearing God. He has not stopped whispering “Gulu” to us since the first days of this trip when we thought it only an oddity because we have never been there and don’t even register where it really is. Now, whenever we hear it almost daily, my eyes turn toward Gail and she is looking quizzically at me to make sure I heard it too. We cannot count the number of times this has happened in among the busy-ness of this particular trip. 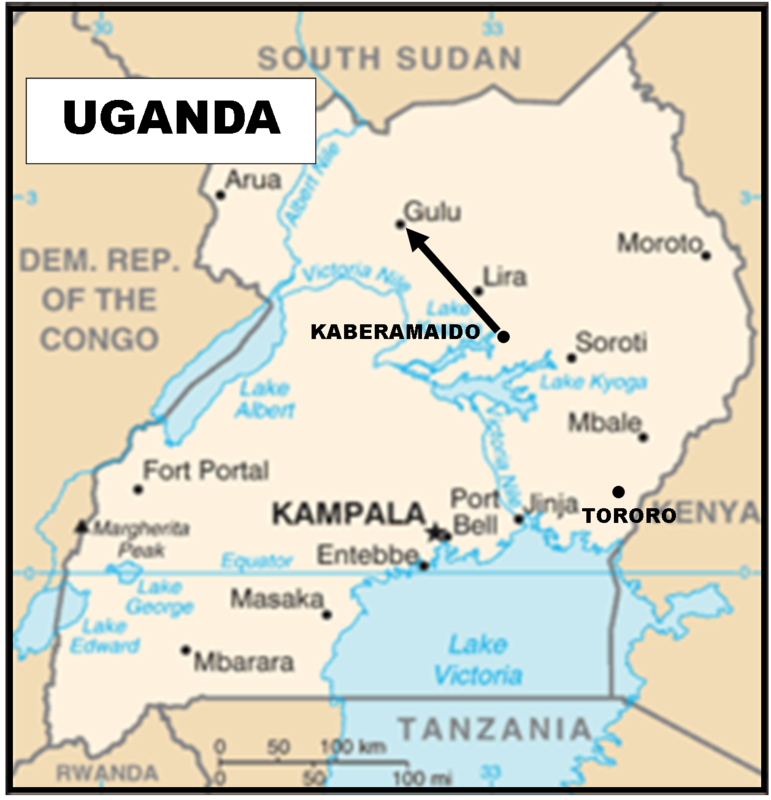 Now we are in Kaberamaido, a town that sits squarely in the middle of a region in central north Uganda. We have a busy teaching schedule of five days this week and five days next, and five days the week after that. Right now we are probably as close to Gulu as we are going to get on this trip. The meeting at Kaberamaido has a different feature to it. Apparently, it is centrally located enough that many people travel from quite far to attend the teaching. The count today, and it is climbing each day, is 74 out-of-town people staying overnight in the three cooperating churches. Our total attendance is hitting ninety – I can scarcely believe these numbers because that means 74 out of 90 people are from out of town. This is extremely unusual for us. 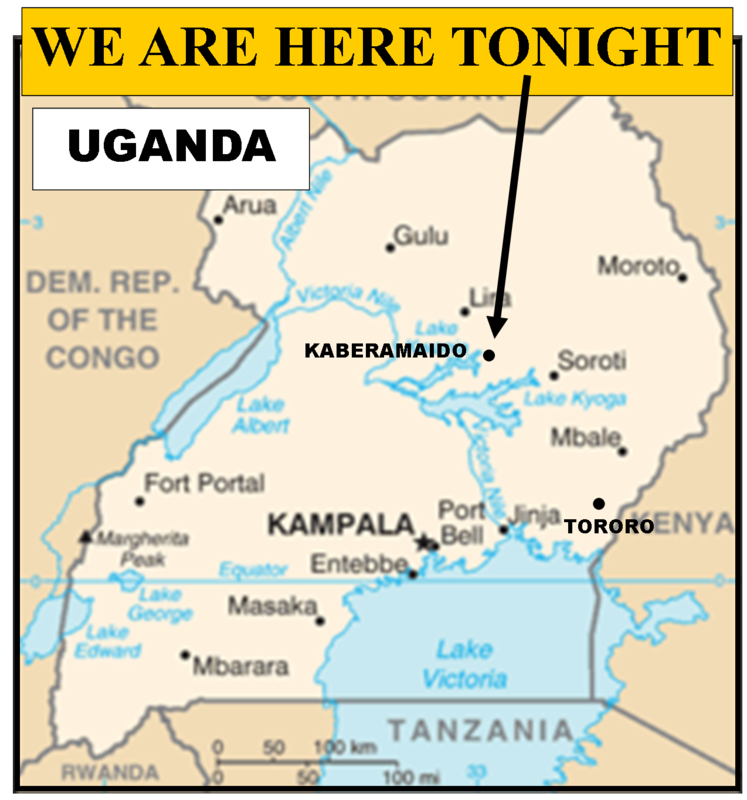 It is another 135 miles further NW from where we are now to Gulu. We cannot go this trip, but upon God’s insistence and provision, apparently we are going there next trip! Yes, God, we are listening. I think I am beginning finally to understand Paul’s missionary trips, when he says God allowed him to go here, or God prevented him from going there. This seems to be the way He often does it.